At the Humanist Society we regularly receive complaints from parents and pupils who are troubled by religious teaching in their schools. Many are unsure of their legal rights, and are unaware of the options open to them in relation to the religious content of education. For these reasons we focused heavily on issues surrounding education, including launching our Enlighten Up campaign, and committing to train Humanist School Visitors to participate in RME classes, group discussions, and debates. HSS are now very pleased to unveil two new resources A Guide for Non-Religious Parents, and A Guide for Non-Religious Young People, to help older pupils, parents and carers to better understand their rights within education. Each book includes advice on how to opt out of religious observance, what resources are available to schools, how to make a complaint when you feel your rights have not been respected, and much more. It is our hope that this will prove a helpful tool in empowering the two thirds of non-religious young people in Scotland to have a greater say over their own education, and that no one is made to feel excluded or different just because they don’t follow a religion. In June HSS highlighted that the Scottish Government’s refusal to allow senior pupils in Scotland to opt out of religious observance, despite urging by the UN and other senior bodies. “Many people across Scotland feel uncomfortable about the religious content of in the school system but are unsure about what their legal rights are. Every week we hear from parents asking for advice about opting their child out of religious observance, or pupils wanting to include non-religious views – such as Humanism – in their own RME classes, but are not sure how to do it. 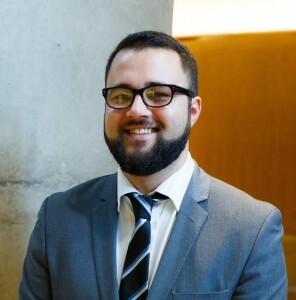 “We know from our own research that not all parents are aware of their right to withdraw from religious observance. Schools really do have a responsibility to let parents and carers know what their legal rights are. “That’s why we’ve created these booklets. We want to give parents and young people a guide to their legal rights here in Scotland. It is our ultimate aim to see religious observance scrapped and replaced with a more inclusive activity, such as philosophy which children, but until then we will campaign to make sure that all parents and young people are aware of their rights. Notes: For further information or comment please contact Gary McLelland on gary@humanism.scot or 07813060713. Humanist Society Scotland seeks to represent the views of people in Scotland who wish to lead ethical and fulfilling lives guided by reason, empathy and compassion. We provide a range of non-religious ceremonies and campaign for a secular state. HSS has over 14,000 members across Scotland. Enlighten Up hits the road! Exciting news… We’re taking the #EnlightenUp campaign on the road! We’ll be hitting the streets, handing out leaflets and asking people to sign the Enlighten Up petition. This is a great opportunity for us to really spread the word about the unelected religious reps making decisions on education throughout Scotland. We’ve already had one successful afternoon out in Edinburgh, where we collected over 100 signatures, now we’re coming to a city near you. Will you to join us? We have balloons, t-shirts and pens at the ready, time to get involved! Take a look at our upcoming events here, and be sure to like our page for more updates. We’ve been blown away by the fantastic response to our Enlighten Up campaign. If you’ve been keeping up to date with the campaign you may have seen that we held a panel at the SNP Spring Conference, hosted by Tommy Shepherd MP. You can now listen to the panel on our brand new podcast, either download from iTunes or listen directly here. So far our petition has over 700 signatures, but there’s still so much more to be done. If you’ve already signed, please make sure you keep sharing far and wide. To help you spread the word we’ve put together this campaign toolkit, with sample tweets and Facebook posts. Feel free to use as many as you like, just copy and paste as is, or rewrite them if you prefer. Currently all Scottish councils are required to appoint three religious representatives to their education committees. These religious representatives are unelected and unaccountable. I believe that all members of local education committees should be accountable to their communities through the ballot box, that’s why I’ve signed the #EnlightenUp petition by Humanist Society Scotland to bring an end to unelected religious reps. Visit /www.enlightenup.scot to get involved too. The Enlighten Up campaign calls for removal of unelected religious representatives from Local Authority Education Committees and exposes worrying details of current religious representatives in a new report. Humanist Society Scotland has today launched its new Enlighten Up education campaign calling on the Scottish Government to end the guessing game for parents and ensure that every member of local authority education committees are accountable through the ballot box. Clackmannanshire: ‘Third representative’, Pastor David Fraser, who believes that Satan is to blame for the death of a 5-year-old child last year, and that Noah’s Ark has been found. East Dunbartonshire: Church of Scotland representative, Mrs Barbara Jarvie, believes that the Kirk’s role is justified and that unelected church reps work in ‘conjunction‘ with elected councillors; and the Roman Catholic education rep is a priest who was found guilty of “unwanted harassment” and making sexual advances towards males in his house. Highland Council: In Highland Council, in 2012, religious representatives influenced a vote which defeated the coalition of SNP, Liberal Democrats and Labour members which had formed to run the Council. The Council’s depute leader described the arrangement as an “historic anomaly” and argued that it “threatens democratic decision-making”. Falkirk Council: The ‘third representative’, Rev Michael Rollo (who is also a chaplain in Larbert High), believes in faith healing. South Lanarkshire: ‘Third representative’ Dr Nagy Iskander is one of ‘Europe’s most active creationists‘ according to high-profile American anti-science campaigner Ken Ham. Orkney – Former Councillor of 22 years, Hugh Halcro-Johnston, was defeated in the 2003 election, then returns to Council as Religious Representative. Shetland: Like all local authorities Shetland Islands Council is required to appoint three unelected religious representatives, despite the clear wishes by the Council not to. (quote from Shetland Councillor below). “The presence of unelected religious representatives is anti-democratic and out of step with modern Scotland. “Parents should not be left guessing who has a right to make decisions over their children’s education. Every full voting member of local education committees should be accountable through the ballot box. A landmark report funded by the Humanist Society Scotland (HSS), conducted by the University of Glasgow, has been released today. The report finds a weakening of the position of religion in Scots law in all areas, except education, where it has been significantly strengthened in recent years. The report was commissioned in November 2014 with HSS providing £40,000 of funding to cover the costs of the research team including a full-time post-doctorate researcher. HSS are supporting the release of this report, in full, into the public domain, in the hope that it will inform the debate about the role of religion in public life. “We’re very pleased to be able to support the release of this report today. The motivation for this commission came from the increased public and political awareness of the changing role of religion and belief in Scottish public life. “But for us the most significant theme in the report is a weakening of the position of religion in Scots law in all areas, except education; where it has been significantly strengthened in recent years. “I am delighted to be able to release this comprehensive report into the public domain today. This report is a significant contribution to the current public debate about the role of religion in Scottish public life. “This report will be of particular interest to academics, campaigners and policy-makers in Scotland. 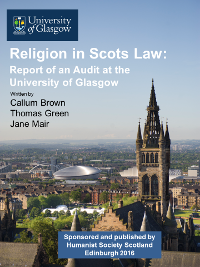 We hope that by giving an authoritative and comprehensive examination of the areas into which religion intrudes into Scots law will help to inform the current debate. “In recent years some of the most radical legal reforms have taken place in Scots marriage law. This has been characterised by a shift from institutional rights to individual rights. Religious organisations no longer enjoy any privileged position, with the exception of Church of Scotland ministers who retain separate recognition within the law from other religious and belief group celebrants. “The 2014 Marriage and Civil Partnership Act highlighted a watershed moment in Scottish public life, and highlighted the declining role of religion in shaping the model of marriage. An independent commission established by Cambridge’s Woolf Institute has today published its final report, calling for a ‘new settlement’ in relation to religion or belief in the UK. Living with Difference: Community, Diversity and the Common Good is the end result of the work of twenty commissioners, including leaders from a range of religions, equality and human rights specialists, and the Chief Executive of the British Humanist Association. Chaired by the Rt Hon Baroness Butler-Sloss of Marsh Green GBE, they spent two years gathering 200 evidence submissions in writing and held oral witness sessions across the UK, in order to make recommendations targeted at policy makers, government officials, religious leaders and the wider public for how policy and practice relating to religion and belief should develop in the UK. Humanist Society Scotland held an evidence hearing for the Commission at the University of Glasgow, the only Humanist organisation to do so. “There are a lot of welcome proposals in this report today, it is certainly progress in the right direction. It does not go far enough though, that is clear. “We welcome the proposals in this report to repeal the requirement for Religious Observance. It’s important to reflect that comes less than a month after a report by the Arts and Humanities Council also called for RO to be dropped. For more information, please contact Gary McLelland, Head of Communications and Public Affairs for Humanist Society Scotland, on gary@humanism.scot or 07813060713. Humanist Society Scotland has welcomed the publication of an important report into the provision of religious observance in Scotland (and collective worship in England, Wales and Northern Ireland). HSS has followed up the release of this report with a call to Education Scotland and the Scottish Government to establish a working group to examine the rationale for the continuation of RO in schools, in-line with the report’s recommendations. The report, compiled by The Arts and Humanities Research Council (AHRC) on Collective Worship, was launched at a public conference at the University of Leicester on 13th November 2015. In addition to the presentation of the Network’s findings, the conference – which was chaired by Lord Sutherland of Houndwood – also featured presentations from a number of influential figured from the UK and overseas. These included: the UN Special Rapporteur on Freedom of Religion and Belief, Professor Heiner Bielefeldt; the sociologist of religion, Professor Linda Woodhead (Lancaster University); the Professor of Theology and Education, Mary Elizabeth Moore (Boston University); and the Professor of Education, Geir Skeie (Stockholm University). It is recommended that each government urgently establishes a working group to consider, in the first instance, whether a rationale exists to require schools to arrange a collective activity in a distinct and designated period within the school timetable. This deliberation should take place within the framework of the six questions relating to rationale set out in this report, and in light of the aims and values of each country’s educational system. It is recommended that each government establishes a working group to review in detail the nature of the current duty, the extent of its implementation, and (to the extent they exist) the efficacy of inspection regimes. This review should consider the need for empirical research to inform its work. It is recommended that Education Scotland provide clear guidance as to what constitutes religious observance and where worship is situated within that. It is recommended, in line with Section 6 of the Standards in Scotland’s Schools etc. Act 2000, that children are consulted on the day to day running of the school as set out in the school’s Development Plan and that this should include consultation relating to religious observance. It is recommended that the term ‘Religious Observance’ be formally changed to ‘Time for Reflection’ in order to be more inclusive. “We welcome the publication of this report today. The report is a very comprehensive overview of the current state of law and policy around religious observance in Scotland. “The report highlights some major challenges for the ongoing provision of RO in Scotland. The time has come for a full and frank debate about the future role of religion in education. It has been a decade since the last comprehensive review of RO in schools, and we agree with the authors of this report that the time has come for a fresh look. The Enlighten Up campaign is an initiative of Humanist Society Scotland which aims to promote a fair and inclusive education system where pupils and teachers are not discriminated against because of their religion or belief.